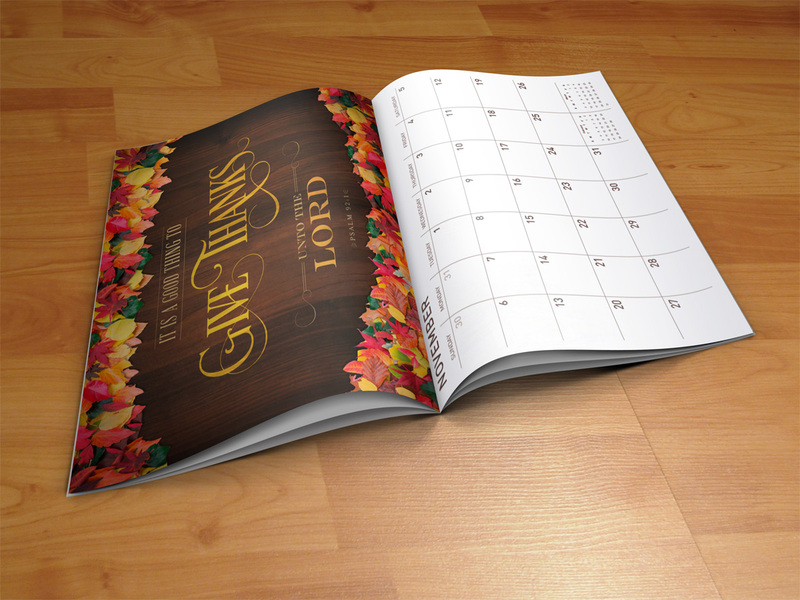 As part of a fundraiser for North Valley Baptist Church, I designed this 2014 Scripture calendar. Each month is represented by a Bible verse that has been beautifully and meticulously designed. This unique calendar will serve as a gift for those who donate to the fundraiser.